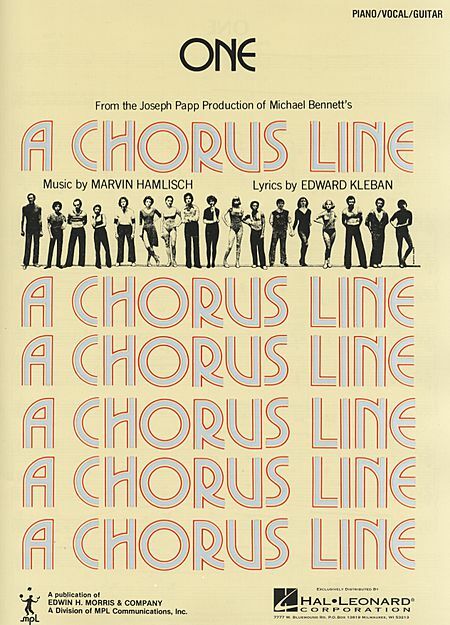 “One” is from the musical A Chorus Line, which opened on Broadway in 1975 and ran for 6,137 performances. 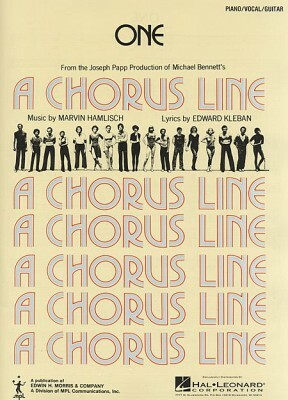 A Chorus Line won the Tony Award for Best Musical and Hamlisch and Kleban won the Tony for Best Original Score. The musical also won the Pulitzer Prize. This is whatcha call trav’ling! “One” was recorded in 1975 and was released as a single that year. It was arranged by Torrie Zito.